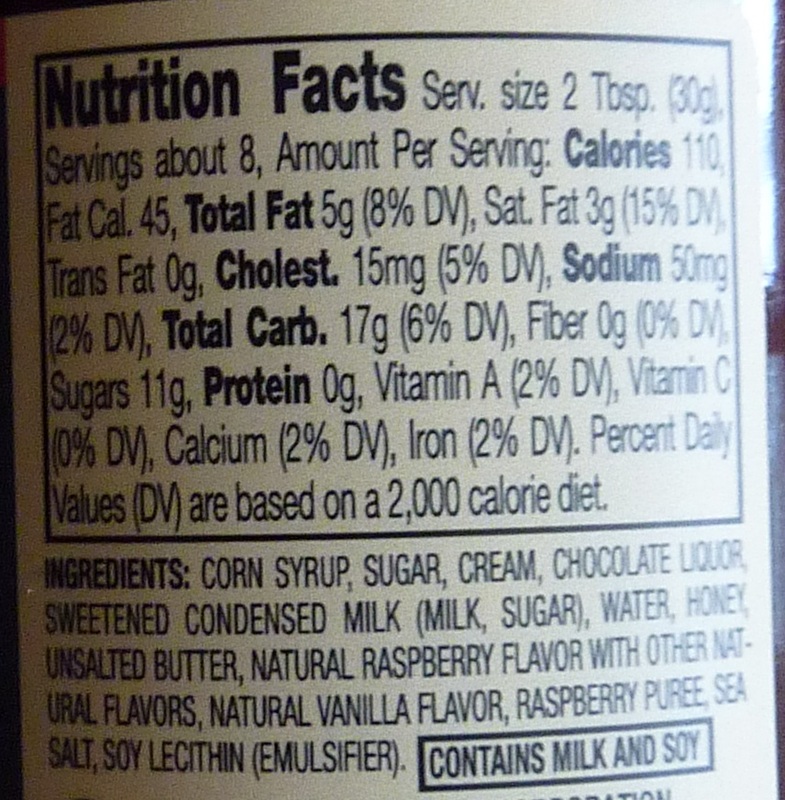 We haven't looked at many dessert sauces here on this blog. In fact, I think this is the first. Spending part of my childhood in Hershey, PA, I got used to milk chocolate growing up. 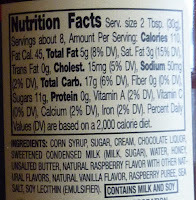 I mean, I didn't have tons of chocolate, especially when I was very young, due to some unfortunate food allergies. But the chocolate I did have was virtually never dark chocolate. As an adult, I can appreciate the richness of dark chocolate, but I still usually prefer sweeter types. Don't get me wrong, this product is plenty sweet, but it's also dark and rich. Any flavors that get mixed with dark chocolate need to be fairly pungent in order to punch through the boldness of the cacao flavor. And the raspberry puree here does just that. The texture is thick and creamy, similar to caramel toppings I've tried. It's actually too thick to use as a topping unless it's heated a bit. If you want to just grab a spoon and dig in, however, it's supple enough to be scooped out at room temperature, although it's not really malleable enough to be spread on anything. I did try a spoonful plain before I put it on anything. It's sweet, rich, and tasty, although it's clearly not meant to be consumed by itself. 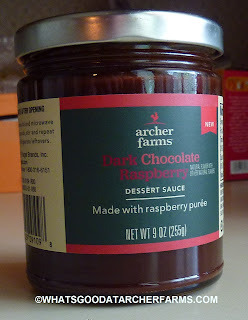 There's a decent balance of raspberry and chocolate flavors, but this product isn't particularly versatile, in my opinion. It needs a very neutral host in order to shine. Vanilla ice cream seems to be the only logical thing this would go on. Maybe I'm just not being creative enough, but I can't think of much else to eat it with. It's a yummy product, but it's just not my personal favorite in the end. I give this topping 7 out of 10 stars.